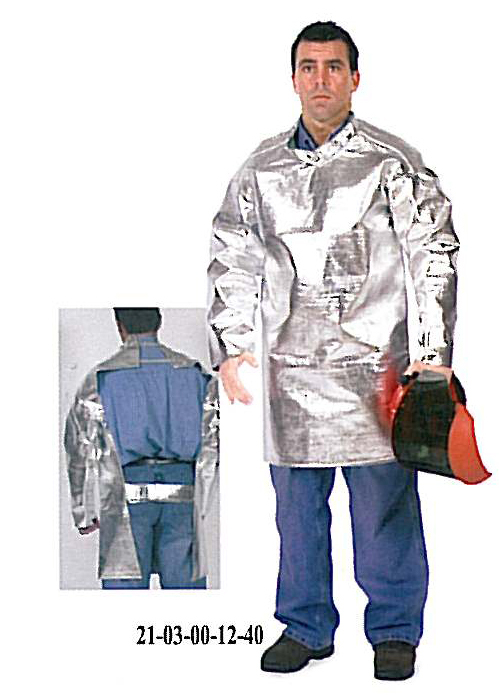 Provides upper body head-on protection against radiant heat, molten metal and sparks. These surgeon coats will reflect away sparks, molten metal and radiant heat head-0n. This coat features an open back offering better ventilated comfort, recommended for a more confined danger area. All garments are full cut and will fit comfortably over work clothes. For a proper fit, select your surgeons coat size and heigh category. If there is some question in choosing between two sizes, play it safe and order the larger of the two.